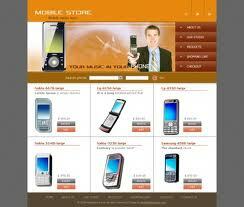 In this article Online Mobile Shop Modules details given. Online Mobile Shop Admin and User : The ADMIN has all the rights in the software including updating the status of his site. The other fields in login are username and password. If the username and password are correct then it is directed to next page. New user: This module is for the users who do not have their account. Here user is allowed to create an account to login. The account creation is done by filling the registration form with user details such as name, phone, email etc. Product: This module has information regarding the mobiles such as its name, model, color, price information, its features etc.The ADMIN has the authority to Add, Delete, Update etc. The USER can only view the Mobile, add to cart only those in the stock etc. Accessories: This module consists of various available accessories of the Mobile with its name and picture, price information etc. Cart: User can select any number of Mobile and add to the cart. He can also remove from the cart if he dislikes it later. Payment: This module describes the payment done by the customer. The payment information can include information like the model purchased, quantity, mode of payment (cash, loan) etc. Stocks: This gives the details regarding the products available for sale.